Come experience the joys of horseback riding at Horse Camp. Day Camp Kici Yapi's riding programs are progressively structured to provide campers with a fun experience of interacting with gentle horses. Instructors are trained in horsemanship and carefully match the experience level of the child with an appropriate horse. Safety is our top priority at Horse Camp. For all horse programs, we recommend that participants wear heeled leather shoes or boots. Long pants and protective helmets are required of all participants. Helmets will be provided by the camp. 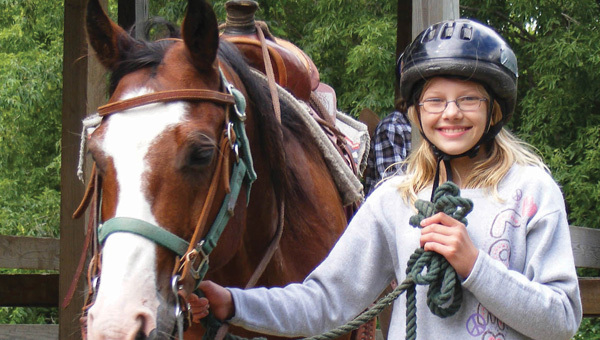 Our horse camp is a progressive recreational riding program and is not intended to replace formal riding lessons. Alternative programs may be planned if weather conditions such as extreme heat, rain or wind jeopardize the safety of campers or horses. This specialty camp will have kids saying “Howdy” with a big grin. They’ll giddy-up for a pony ride and learn about horses and the barn. Campers will enjoy horse and traditional activities throughout the week. Campers will spend three hours at the barn throughout the week. Colts is a one-hour-per-day introductory program for campers with little or no experience around horses. Riders will build confidence and skills while learning the basics of western horseback riding. 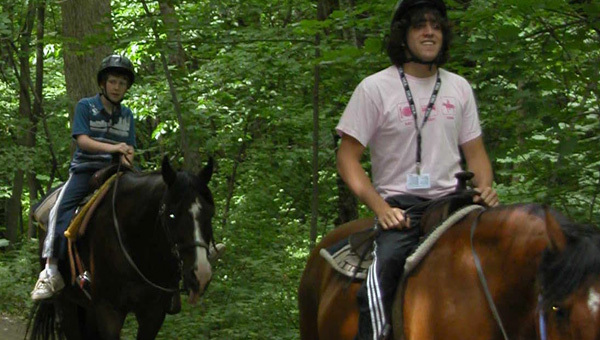 Instruction includes safety, leading, mounting, dismounting, reining, and basic trail riding. The remainder of the day is spent in traditional camp activities. In Wranglers, experienced riders spend ten hours per week in advanced riding instruction including mounting, trotting, and ring work. Riders also learn about proper horse care such as feeding, grooming, and saddling. Wrangler riders will also have the opportunity to enjoy scenic trail rides. In Circle Y Camp, experienced riders spend ten hours per week in advanced riding instruction including mounting, trotting and ring work. Riders also learn about proper horse care such as feeding, grooming, and saddling. Circle Y riders will enjoy scenic trail rides. They will also showcase their skills in a special horse show during Family night on the Thursday evening of the 2nd week of session.